Kenny J: Marvel's primo gun-toting vigilante is going through a bit of resurgence. In the week that Netflix announced they’re ordering a show based on the anti-hero we’re not getting one but two titles featuring the Punisher. 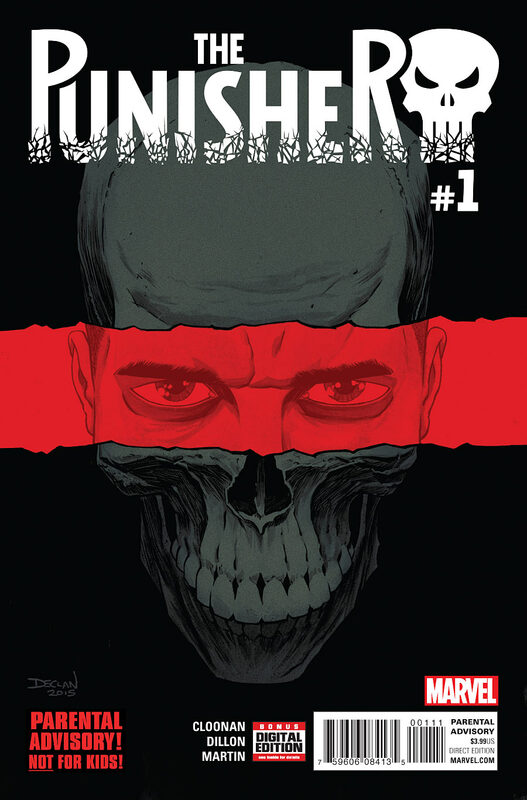 First up is the eponymous The Punisher written by Becky Cloonan with art by Steve Dillon. I’ve mentioned how much of a fan of Becky Cloonan I am before but it is also Dillon’s art that makes this title a must buy for me this week. Having previously provided pencils on the PunisherMax he’s already a proven force when it comes to depicting the quieter moments in Frank Castle's very kinetic life. Also up is Daredevil/Punisher #1. The onscreen relationship between DD and the Punisher must have seemed like too good an opportunity for Marvel to pass up. Usually I wouldn’t go in for stories that are thematically similar to those recently told in other mediums but Charles Soule is on the book so I will definitely take a look. The last issue of The Wicked + The Divine was definitely my favourite, with Gillen and McKelvie seemingly setting out their endgame. I’m hoping issue #19 continues this trajectory, not because I want the series to ever end, but I can’t wait to see some of these back stabbing so-called-gods get their comeuppance. With Moon Knight #2 following up Jeff Lemire’s stellar debut issue, a new supernatural gangster story from Si Spurrier in Weavers #1, plus firm favourites Amazing Forest #5 and Devolution #4 also being released, it’s turning out to be a bumper week. James R: This week, there's one title that dominates my interest, and will certainly be at the top my pull-list: Alan Moore's new project, the intriguing Cinema Purgatorio. 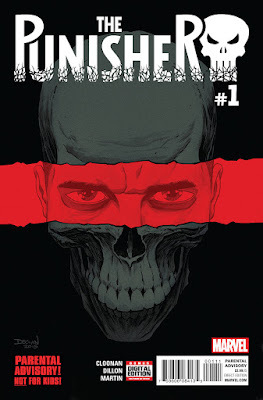 An anthology book, featuring no ads, and some of the best creators in comics - for example, the first issue features Garth Ennis, Max Brooks and Kieron Gillen. I'm such a fan of Moore's that I will always pick up anything he does - he's never dull or predictable, and even though anthology books are traditionally hit-and-miss affairs, I can't wait to see what Cinema Purgatorio has in store - it's worth it for the title alone! Beyond the Original Writer, there's three other titles I'll be picking up: firstly, Tom King and Mitch Gerads' magnificent Sheriff Of Babylon has been a revelation this year, and I can't wait to see how the murder investigation in the dark heart of post-invasion Iraq progresses. My now-regular Star Wars book pick-up this week is the second issue of Poe Dameron - the first issue was a solid, if unspectacular opening chapter, but my Star Wars love is such that I'm on board for the duration. Finally, there's a title that I almost missed the bus on - Jeff Lemire and Greg Smallwood's second issue of Moon Knight. I was reluctant at first as Moon Knight has always left me cold as a character, but following the total enthusiasm of my colleagues at the PCG, I took a look and was immediately sold. Issue #1 established Marc Spector as a man with a tenuous grip on reality - what was real, and what is the product of Spector's deluded mind looks to be one of the central themes of the book, and I can't wait to see how this one develops.